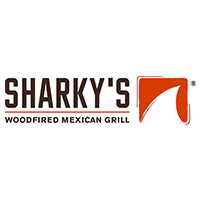 Making a difference with food was the premise behind Sharky's Woodfired Mexican Grill when the first restaurant opened in Sherman Oaks, California in 1992. The founder, Steve Paperno, had a vision to cobine the variety of flavors he expereinced traveling through Mexico with innovative recipes and his passion for healthy living. The result is an innovative menu that strives to use fresh, natural and organic ingredients combined with unique cooking styles for enhanced flavor and the promise of excellence and satisfaction.